For this last interview with sustainable tourism change makers nominated by Green Key International, we take you to the exclusive InterContinental AQABA Resort in Jordan. Meet Abdulla Radaideh, Chief Engineer and driving force behind the Resort’s journey towards environmental best practice. Why waste management has been the most difficult sustainability initiative to implement at InterContinental AQABA Resort. Abdulla, a few words about your professional story – why did you chose to work in hospitality? Before joining the hotel industry, I worked in factories for the timber industry, some of which have a devastating impact on the environment. Although I’m a mechanical engineer and factories offer a very good income, I wasn’t comfortable at all and took the decision to leave all kind of factories and start a new career with a focus on conservation, rather than destruction. I joined the InterContinental Aqaba resort seven years ago, where I noticed a big difference in the business approach, with many initiatives and programs like Green Engage. IHG [InterContinental Hotel Group]’s steering wheel has four major quadrants: financial returns, guest experience, our people and finally the responsible business part, which is about reducing our impact on the environment and supporting the community. 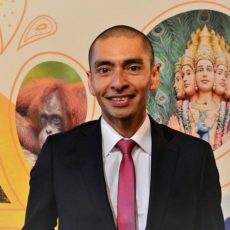 To be honest, I decided to work for IHG because of the hotel group’s commitment to responsible business, and over the years worked myself up from junior level to becoming part of the hotel’s executive committee. When did you first discover your passion for sustainability? Energy conversions – renewable sources – was a subject I was very intersted in during my studies at university. Jordan is one of the poorest countries in terms of available water and energy resources, and I always had that dream of making a positive difference and changing people’s mentality toward the environment and energy. My dream is now becoming true at InterContinental Aqaba. Maybe my work doesn’t change the whole world, but I have managed to change the mentality of certain groups and colleagues toward sustainability. As a leading force behind establishing the Green Key ecolabel in Jordan, how has your view on sustainable tourism evolved? Tourism is one of the most important sectors of Jordan’s economy, with about 50 thousand employees, half a million tourists and more than 2 million overnight stays in 2014. Moreover, studies indicate that “75% of consumers want a more responsible holiday and almost half of global consumers are willing to pay more for products from companies that show a commitment to social responsibility“. Five years ago, we started the sustainability journey with JREDS “The Royal Marine Conservation Society” with the Green Key program, then another 20 hotels followed. 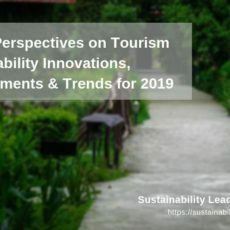 The change is noticeable in the change of five star hotels from heavy consumers of energy and water to green, responsible hospitality businesses with sustainable energy management plans and sustainable tourism programs. Which aspect of implementing sustainability at the InterContinental Aqaba Resort in Jordan do you find the most challenging? Waste management. We are separating our waste inside the hotel for the recycling but all the waste is going out to the landfill after being collected by the local authority, except for some recyclable material for which he have been able to contract private companies to take them instead of the local authority, like oil, metal cans and some plastics. 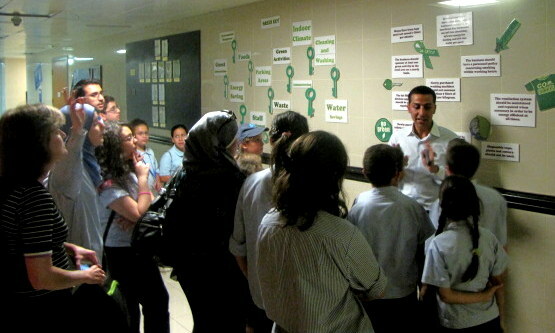 Why the focus on sustainability at Aqaba Resort in the first place? 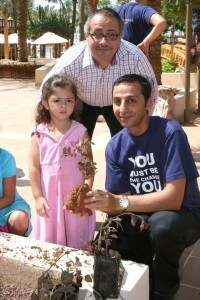 Which sustainability achievement at Aqaba Resort are you most proud of? Water: in addition to all the mandatory water criteria from the Green Key and IHG Green Engage programs, we have digged a couple of wells that accumulate the under water coming from the sea. We installed a RO unit which produces an average of 140 cubic meters per day from these wells, which covers nearly 40% of the hotel’s water consumption. 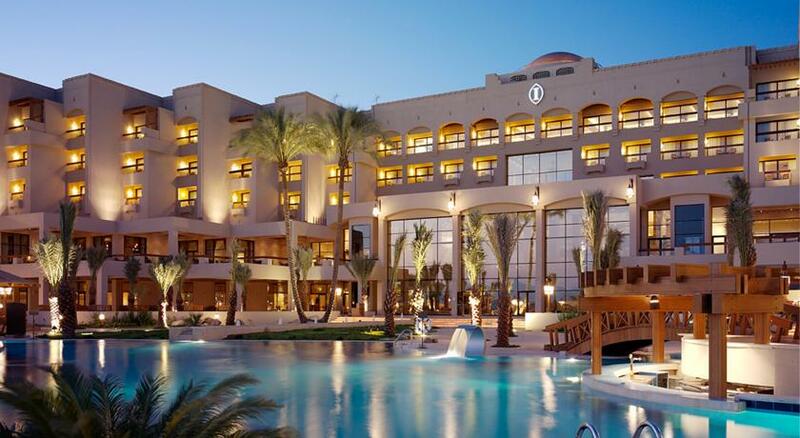 Which have been the main benefits of implementing sustainability initiatives at Aqaba Resort? In addition to the reputation that we are gaining from being a green hotel, there are clear financial benefits. We have reduced our energy consumption by 29% and are working towards a reduction of 33%. As a luxury resort, do you communicate your environmental initiatives to guests? Yes, in many locations: on the guest room TVs and lobby screens, in the guest room directory, on the concierge lounge at Lobby, on the Blue flag board at the beach and at any special environmental occasions that we are participating in. We are also placing posters, banners and flyers at the lobby for special events like Earth Hour or World Environment Day. And our front of house staff communicate our sustainability initiatives directly to our guests. 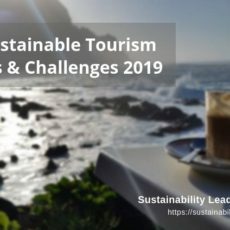 Your thoughts on the current state of sustainable tourism in Jordan? Tourism is Jordan’s largest private sector contributor to GDP and foreign exchange, and supports more jobs than any other industry, As a result, a Jordan Tourism Development Strategy was developed under USAID/AMIR 2.0 (launched by HM King Abdullah at the 2005 World Economic Forum), a project known as “Siyaha”, which is enhancing Jordan’s competitiveness as an international tourism destination. In Jordan there are many environmentally friendly tourism spots like the Ajloun Forest Reserve, Azraq Wetland Reserve, Shaumari Wildlife Reserve, Mujib Reserve, Dana Biosphere Reserve, Wadi Rum and Feynan Ecolodge, in addition to many NGOs like JREDS who is taking care of enhancing these spots and spreading the awareness toward sustainable tourism which is getting better and better year over year. Your 3 bits of sustainability advice to other sustainability managers and engineers at luxury resorts or hotels? Start with employee engagement and get them commited, since they are the root of all the changes that we are seeking. Then get Eco-Labels like Green Key, Blue Flag or Green Globe, and focus on the communications especially with guests directly through front of house staff and through the media. Finally, look at ways to reduce energy consumption and link this to your green initiatives and programs, since possibilities to save money are the main reason and factor for the owners and investors to support your ideas, especially if changes need initial investment. Our interview with Abdulla Radaideh was facilitated by Green Key International as part of a special series of interviews. 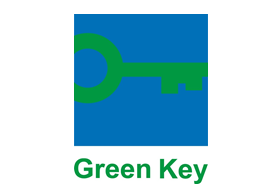 Learn more about Green Key and the Foundation for Environmental Education. Enjoyed our interview with Abdulla Radaideh on sustainability at Aqaba InterContinental Resort in Jordan? Spread the word!